The National Museum of the American Indian is the first national museum dedicated to the preservation, study, and exhibition of the life, languages, literature, history, and arts of Native Americans. Join us for lectures, plays and musical performances from the Nation’s Capitol. Founded in 1944, the National Congress of American Indians is the oldest, largest & most representative American Indian & Alaska Native org in the country. Indigenous Maps: Building a global community of Indigenous Mappers. Moka Apiti talks to Dale Husband from Radio Waatea about the conference. Aboriginal Mapping Network (AMN) was established in 1998 as a joint initiative of the Gitxsan and Ahousaht First Nations and Ecotrust Canada. Over the years the network has grown from its humble beginnings as a knowledge sharing forum for local First Nations technicians, leaders and decision makers to become a valuable strategic resource for practitioners of traditional knowledge mapping around the world. Indigenous people have fallen victim to many degradations including political threats and those against the very cultural aspects and traditions that keep them grounded. Global concern has grown and with that being said so has the interest to protect such cultures and the indigenous communities throughout the world. Tourism aspects have allowed for this increased fascination to benefit local community and the indigenous people. It brings forth both positive and negative aspects, pushing for the protection of the environment and encouraging revival of cultural features to increase visitors. Thus there is the question of whether the opportunities outweigh the threats which will be deliberated through many topics listed throughout articles and information below. In his fourth annual report to the General Assembly, which will be presented to the Assembly’s Third Committee on 22 October 2012 in New York, the Special Rapporteur on the rights of indigenous peoples provides a summary of his activities over the past year. The report also discusses the need to harmonize the myriad of activities within the United Nations system that affect indigenous peoples and provides a review of specific UN processes and programs. The Special Rapporteur notes that the United Nations has done important work to promote the rights of indigenous peoples but that greater effort is needed to ensure that all actions within the UN system that affect indigenous peoples are in harmony with international standards, particularly those standards articulated in the United Nations Declaration on the Rights of Indigenous Peoples. See the report to the General Assembly here. At its tenth session, the UN Permanent Forum on indigenous issues (UNPFII) made several recommendations relating to UNESCO, its World Heritage Committee and the advisory bodies ICOMOS, ICCROM and IUCN. At the 34th (Brasilia, 2010), 35th (UNESCO, 2011) and 36th (St Petersburg, 2012) sessions of the World Heritage Committee, representatives of the UN Permanent Forum were present as observers and provided statements. The World Heritage Committee developed a vision and strategic action plan for the 40th Anniversary of the World Heritage Convention and noted that UNESCO is in the process of preparing a policy with regard to its programmes on indigenous peoples and encouraged these considerations to be included in the theme of the 40th anniversary of the World Heritage Convention in 2012 on “World Heritage and Sustainable Development: the Role of Local Communities”. A specific issue on World Heritage and indigenous peoples has been published as World Heritage Review No.62 to draw the attention of the international community to this important topic. It is available online in English, French and Spanish. World Heritage Review #62 – World Heritage and Indigenous Peoples. Intercontinental Cry (IC) Magazine is an independent publication that was founded over a decade ago in response to the marginalization and misrepresentation of Indigenous Peoples on the internet. Based in Canada, the United States and Mexico, we offer time-sensitive and groundbreaking investigative journalism as well as cutting-edge analysis that you can’t find anywhere else. That’s why we are seeking your support—to make sure that we have at least one news platform in the world that fully and accurately covers everything that’s going on, no matter where it’s happening. Mining on reindeer land – Bush Telegraph – Perth based mining company Hannans Reward is hoping to develop open cut mines in Sweden’s north. But as Verica Jokic writes Indigenous communities argue the mines will endanger their traditional way of life. Hinch, T., & Butler, R. (2007). Tourism and indigenous peoples: issues and implications. Churchill, R. P. (2011). Encyclopedia of global justices. Building genuine partnerships with Aboriginal people isn’t just about benefiting indigenous Australians. Perhaps non-Aboriginal Australia can learn from a people who have survived 60,000 years on this harsh continent. We will then be on the way to developing an equal partnership that makes Aboriginal health ‘everyone’s business’. Don’t be put off if you are unsure how to proceed. Those ten women showed me, in a way I’ll never forget, that you don’t have to know the answers. You don’t even have to know the questions. What you need to do for successful consultation is to know how to build trust, show respect, listen and not be hurried. The measure by which we should test our laws and our institutions is to ask how they work for the poor, the marginalized and the culturally distinct. It’s never enough that they work well for the rich, well-educated members of the dominant culture. Kakadu has sort of fallen between the cracks. Even with the abundance of publicity derived from films like Crocodile Dundee and countless wildlife documentaries, the significance of the indigenous peoples is rarely properly acknowledged. Too long we have been brainwashed into believing that our own indigenous languages of the world are not compatible with the modern world. We no longer succumb to the colonisations of our minds forcing us to believe that we must give away our indigenous languages in order to be part of our global community. We know that is rubbish and it’s time to say it loudly around the world. Meditating on decolonisation – Can you decolonise yourself through meditation? A visual artist who practices meditation, Katie West has created a ‘third space’ for Melbourne’s Next Wave festival of emerging arts where audiences can experience decolonisation – a process that is best described as the undoing of colonisation. For us and our children after us: Indigenous economic survival – How should the management of intergenerational collectively owned assets be approached? Highlights of The economics of Indigenous survival the 14th annual Vincent Lingiari lecture, Charles Darwin University, Northern Territory. Holding our tongues is a Hindsight project about the long and painful task of reviving Aboriginal languages. The impact of English on the preservation and maintenance of Indigenous and other old languages – Why do we need to preserve and maintain languages? Well as Wade Davis reminded us in his recent Massey lecture series The Way Finders, of the 7,000 languages spoken today, half are teetering on the brink of extinction…and with the extinction of a language an entire culture is lost. Indigenous owners hoping to protect endangered species in the desert – A large chunk of Western Australia’s desert country straddling the famous Canning Stock Route became part of Australia’s national reserve system this week. Nineteenth-century appetites for indigenous foods – In recent years we’ve seen something of a revival for bush foods but what’s perhaps surprising is that engagement with and a curiosity about native food isn’t something new. 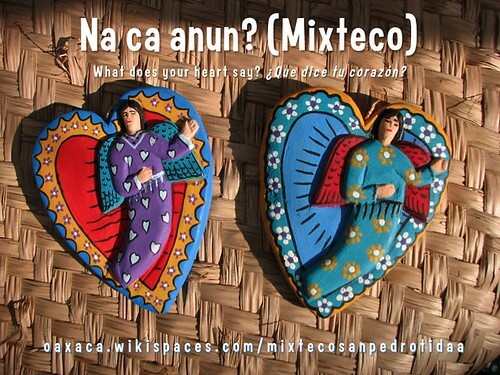 A ‘like’ for linguistics: Can social media save Mexico’s unwritten languages? Natural Justice is an international NGO facilitating the legal empowerment of Indigenous peoples and local communities. An Unlikely Solution is a new documentary-style film that tells the story behind Native American Tribes offering consumers access to installment loans and other financial service products over the Internet. This unique partnership has created an innovative economic development lifeline for Tribal governments, while also providing an essential service for underbanked consumers across the USA. The Sycuan Institute on Tribal Gaming focuses on research, policy studies, and education related to the area of tribal gaming management. The Institute, centered in the largest tribal gaming community in the world, is geared to studying tribal gaming within the broader industry of hospitality and tourism management. How do we listen to marginalized voices without making others feel like they are ‘marginalized people.’ The key lies in respecting the tradition and culture and often the locality — what makes a place special for a particular group of people. The stories indigenous peoples can share will always have a different depth than what non indigenous peoples bring to the table. There will be a seachange in tourism when enough locals and visitors embrace the local travel movement and what is hyperlocal. Successful web presence attracts additional visitors to an area which in turn create a positive economic impact for the local economies. There is no clear definition internationally agreed upon on the meaning of Indigenous peoples. There is a variation of people among the world that some classify as indigenous and others no. Many terms that fall under the scope of Indigenous people include the First Nations, Aboriginals, Tribes and Tribal People. 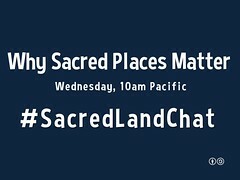 August 6-12 Indigenous Peoples Week – Second annual online unconference focusing on Indigenous Peoples and Tourism. Planeta.com Founder Ron Mader facilitated the Global Workshop for Indigenous and Local Communities: Biodiversity, Tourism and the Social Web to engage CoP 11 participants and colleagues around the world with new networking tools that spotlight indigenous and local community tourism services that conserve traditional culture and local biodiversity. Done well indigenous tourism offer opportunities to culturalize commerce. Done poorly it risks commercializing and cheapening __culture__. Indigenous input into the way tourism is managed. Sustainable tourism presents an important opportunity to protect and conserve not only biodiversity, but also cultural diversity and traditional knowledge. In light of this, the Conference of the Parties of the CBD adopted the Guidelines on Biodiversity and Tourism Development and the Secretariat developed a User’s Manual based on these Guidelines. 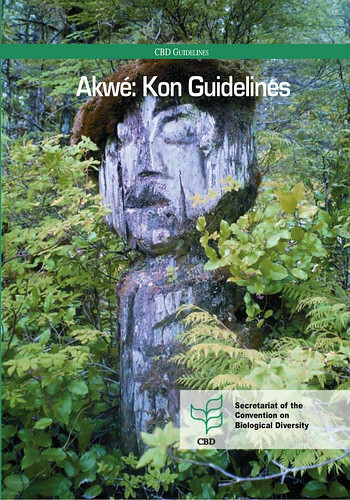 These Guidelines and User’s Manual are particularly useful to indigenous peoples as a blueprint and hands on guide to protect and conserve biological and cultural diversity and traditional knowledge. Indigenous people and traditional communities around the world, particularly those managing areas with significant biodiversity for livelihood and cultural reasons, have long realized that tourists are interested in visiting their surrounding areas and experiencing their ways of life and cultural roots. This has led to the development of various tourism products (tours, accommodation services, transportation and interpretation offers) designed, managed and operated by indigenous communities and leaders. The Secretariat of the Convention on Biological Diversity is currently organizing a series of workshops on new information and web-based technologies within indigenous communities. What are examples of tourism that includes and benefits indigenous people? What do out-bound tour operators and travelers suggest? What ways are there to promote indigenous languages? Has there been genuine consultation between indigenous people and the government? Among indigenous people and tour operators? What is the preferred language and spelling of the following words: aboriginal, indigenous, native? What recommendations to indigenous-owned tourism operations have? We presented the winners of the Indigenous Tourism and Biodiversity Website Award at the September 2010 Ecotourism Conference in Portland, Oregon. TIME Unlimited tours is a luxury tour operator located in New Zealand, promoting sustainable tourism. They take you across New Zealand promoting the beautiful scenic areas and interesting history on New Zealand and Maori culture. In 2010 they were presented with this award. – It is estimated that there are more than 370 million indigenous people spread across 70 countries worldwide. Practicing unique traditions, they retain social, cultural, economic and political characteristics that are distinct from those of the dominant societies in which they live. Spread across the world from the Arctic to the South Pacific, they are the descendants – according to a common definition – of those who inhabited a country or a geographical region at the time when people of different cultures or ethnic origins arrived. The new arrivals later became dominant through conquest, occupation, settlement or other means. Among the indigenous peoples are those of the Americas (for example, the Lakota in the USA, the Maya in Mexico and Central America or the Aymaras in Bolivia), the Inuit and Aleutians of the circumpolar region, the Sámi of northern Europe, the Aborigines and Torres Strait Islanders of Australia and the Maori of New Zealand. These and most other indigenous peoples have retained distinct characteristics which are clearly different from those of other segments of the national populations. • Self- identification as indigenous peoples at the individual level and accepted by the community as their member. 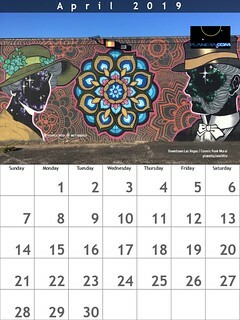 • Resolve to maintain and reproduce their ancestral environments and systems as distinctive peoples and communities. • According to the UN the most fruitful approach is to identify, rather than define indigenous peoples. This is based on the fundamental criterion of self-identification as underlined in a number of human rights documents. 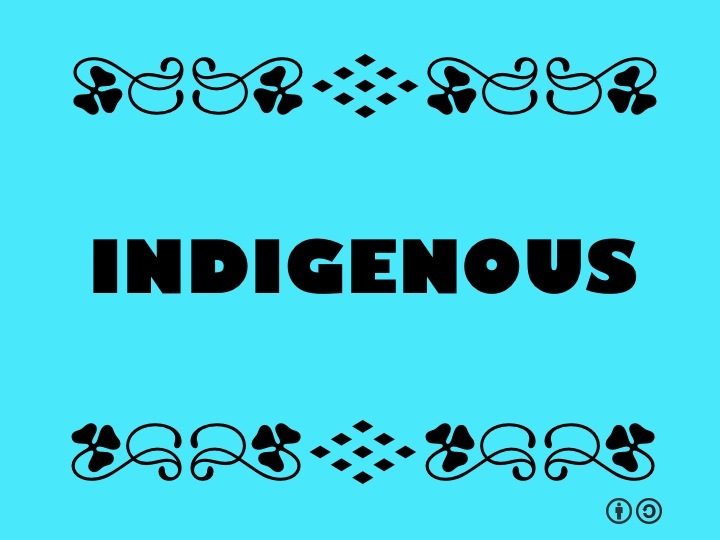 • The term “indigenous” has prevailed as a generic term for many years. In some countries, there may be preference for other terms including tribes, first peoples/nations, aboriginals, ethnic groups, adivasi, janajati. Occupational and geographical terms like hunter-gatherers, nomads, peasants, hill people, etc., also exist and for all practical purposes can be used interchangeably with “indigenous peoples”. 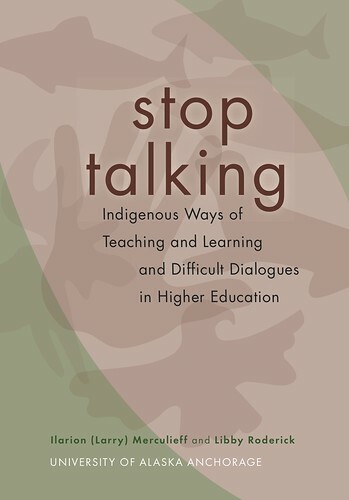 • In many cases, the notion of being termed “indigenous” has negative connotations and some people may choose not to reveal or define their origin. Others must respect such choices, while at the same time working against the discrimination of indigenous peoples. Indigenous peoples are the holders of unique languages, knowledge systems and beliefs and possess invaluable knowledge of practices for the sustainable management of natural resources. They have a special relation to and use of their traditional land. Their ancestral land has a fundamental importance for their collective physical and cultural survival as peoples. Indigenous peoples hold their own diverse concepts of development, based on their traditional values, visions, needs and priorities. Indigenous peoples often have much in common with other neglected segments of societies, i.e. lack of political representation and participation, economic marginalization and poverty, lack of access to social services and discrimination. Despite their cultural differences, the diverse indigenous peoples share common problems also related to the protection of their rights. They strive for recognition of their identities, their ways of life and their right to traditional lands, territories and natural resources. Convention No.169 is a legally binding international instrument open to ratification, which deals specifically with the rights of indigenous and tribal peoples. Today, it has been ratified by 20 countries.Once it ratifies the Convention, a country has one year to align legislation, policies and programmes to the Convention before it becomes legally binding. Countries that have ratified the Convention are subject to supervision with regards to its implementation. Click here for translations of Convention No. 169. • Distinct social, economic, cultural and political institutions (they retain some or all of their own institutions).